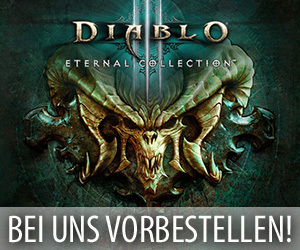 Im Verlauf des heutigen Abends haben die Mitarbeiter von Blizzard Entertainment den neuen Build 23623 auf den mittlerweile bereits seit einigen Wochen aktiv laufenden PTR von Patch 7.2: Das Grabmal des Sargeras aufgespielt und dadurch dann wieder einmal eine Reihe von kompletten Neuerungen und Änderungen an bereits vorhanden gewesenen Inhalten zu dieser Testphase hinzugefügt. 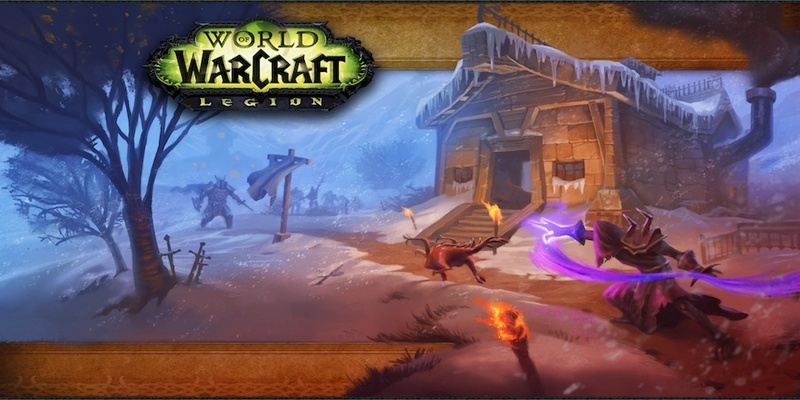 Dabei brachte diese neue Spielversion von Patch 7.2 unter anderem die üblichen Klassenänderungen, einen neuen Ladebildschirm für die PvP Brawls, Anpassungen an den legendären Gegenständen und eine neue Möglichkeit zum Finden von bisher nicht erhältlich gewesenen Reittieren mit sich. In folgender Zusammenfassung könnt ihr euch jetzt selbst durchlesen, was für interessante Neuerungen dieser Build beinhaltete. Artefaktwissen von Rang 26 bis 40 wurde noch einmal überarbeitet und gewährt den Spielern nun einen höheren Bonus (Liste). Die finalen Talente der Artefaktwaffen aus Patch 7.2 besitzen nun 50 Ränge. Zusätzlich dazu erhöhen sie nicht mehr länger den verursachten Schaden oder die erzeugte Heilung von Spielern, sondern sie gewähren ihnen 10 Sekunden lang den Buff Concordance of the Legionfall. Dieser Effekt erhöht den primären Wert der aktiven Spezialisierung. Die Sets der Klassenhallen können nun auf Itemlevel 870 erhöht werden (vorher 860). Es gibt neue Tokens zum Herstellen von epischen Ausrüstungsteilen, die Spieler in der Verheerten Küste erbeuten können (Liste). Die besonderen Kisten, die Spieler nach 20.000 über die Rufstufe „Ehrfürchtig“ hinaus gesammelten Rufpunkten erhalten, können mit etwas Glück nun epische Reittiere beinhalten. Dabei droppt jeder dieser Belohnungskisten ein anderen Mount. This week’s PTR build has a couple new additions. The new Broken Shore World Bosses should be in, and 7.2’s crafted Legendary items are available as well (although they’re not fully completed, so expect to run into some issues with them). We’re reaching the point of development where nearly all of the new content and features in Patch 7.2 are in-game and testable. From here, we’ll be focusing primarily on bugfixes, stability, tuning, and generally tightening everything up. Please continue to report any bugs you encounter and give us any feedback you have! To help with stability testing, this week we’re organizing a scheduled stress test of the Broken Shore. We’ve made some behind-the-scenes changes to how our servers operate under heavy load, and so we’d like to get as many people as possible testing World Bosses and the Sentinax assault on the Broken Shore this Thursday at 2 pm PST (11pm CET). If you’re able to come help out, please do! Cord of Infinity After dropping below 40% mana, your mana regeneration is increased by 10% for 15 sec. Each time Arcane Missiles hits an enemy, the damage of your next Mark of Aluneth is increased by 1.0%. This effect stacks. Insignia of Ravenholdt Your attacks that generate combo points Your single-target combo-point generating attacks deal 15% additional damage as Shadow to all targets within 0 yards in front of you. Rethu’s Incessant Courage Name changed from „PH Plate Crafted Legendary“ to „Rethu’s Incessant Courage“. PH Plate Crafted Legendary When an enemy is within 8 yards of you, you heal for 2% of your maximum health every 3 sec. When no enemies are within 8 yards of you, your movement speed is increased by 15%. Shard of the Exodar Your Time Warp does not cause Temporal Displacement on yourself and is not will be applied to yourself at 25 sec duration when you are affected by Temporal Displacement or similar effects on yourself. The Night’s Dichotomy You are able to see invisible and stealthed enemies during the day and and reduces the distance at which enemies will attack you by 15 yards during the night. When an enemy is within 12 yards of you, you conceal yourself in the shadows, reducing damage taken by 5% and increasing movement speed by 10%. When no enemies are within 12 yards of you, Celumbra’s starlight heals you for 1% of your maximum health every 1 sec. Item – Death Knight T20 Blood 4P Bonus Blood Boil has a 25% chance to grant you 0 Versatility for until cancelled. 3,000 Versatility for 10 sec. Item – Death Knight T20 Unholy 2P Bonus Death Coil causes one of your Army of the Dead ghouls to explode, dealing [ 150% [ 500% of AP ] damage to up to 0 nearby enemies. 3 nearby enemies. Item – Druid T20 Restoration 2P Bonus Swiftmend has Swiftmend triggers up to 40% reduced cooldown based on the current health of your target. More reduced cooldown when used on a lower health target. Item – Druid T20 Restoration 4P Bonus (New) Swiftmend increases your Efflorescence healing by 400% for 8 sec. Item – Mage T20 Arcane 2P Bonus Name changed from „Item – Mage T20 Arcane 4P Bonus“ to „Item – Mage T20 Arcane 2P Bonus“. Casting Arcane Missiles reduces the remaining cooldown on Greater Invisibility by 5.0 sec. Presence of Mind by 4.0 sec. Item – Mage T20 Arcane 4P Bonus Name changed from „Item – Mage T20 Arcane 2P Bonus“ to „Item – Mage T20 Arcane 4P Bonus“. Greater Invisibility Presence of Mind instantly grants you 4 Arcane Charges. When you leave Greater Invisibility, your damage is increased by 20% for 12 sec. and increases your damage done by 10% for 15 sec. Item – Mage T20 Fire 2P Bonus Fireball has a 15% chance to make cause your next Pyroblast or Flamestrike a guaranteed Critical Strike. to be a guaranteed critical strike. Item – Mage T20 Frost 4P Bonus The cooldown of Frozen Orb is reduced by 5 5.0 sec whenever you gain Brain Freeze. Item – Paladin T20 Holy 2P Bonus Light of Dawn has up to 40% reduced cooldown based on the current health of your targets. More reduced cooldown when it heals lower health targets. triggers Dawn’s Light, instantly healing your current friendly target within 0 to 40 yds for [ 1 + 300% of Spell Power ]. Item – Paladin T20 Holy 4P Bonus Light of Dawn grants you Dawn’s Light, increasing the healing of your next spell by 25%. triggers up to 40% reduced cooldown based on the current health of the target of your Dawn’s Light. More reduced cooldown when used on a lower health target. Item – Priest T20 Shadow 2P Bonus Shadowfiend’s damage dealt is increased by up to 200% 180% based on your current Insanity. Item – Priest T20 Shadow 4P Bonus Mind Blast reduces the cooldown of Shadowfiend by 3.0%. 3.0 sec. Item – Rogue T20 Assassination 2P Bonus Garrote’s cooldown is reduced by 6.0 sec. Garrote’s cost is reduced by 25 Energy and cooldown is reduced by 12 sec. Item – Rogue T20 Assassination 4P Bonus Garrote generates 1 additional combo point and deals 20% increased damage. 60% increased damage. Item – Rogue T20 Outlaw 4P Bonus Adrenaline Rush persists for 15 sec longer at half power. when it ends, at half power. Item – Shaman T20 Restoration 2P Bonus Your healing spells casts have a 10% have a chance to increase the Critical Strike chance of your next Riptide by 100%.Approximately 2 procs per minute. Item – Shaman T20 Restoration 4P Bonus When Riptide’s initial heal critically strikes, the healing of done by your next Healing Rain is increased by 50%. Item – Warlock T20 Affliction 2P Bonus Your Unstable Affliction damage has a 101% 20% chance to cause your next Drain Soul cast to deal 20% additional increased damage each time it deals damage. Item – Warlock T20 Affliction 4P Bonus Fully channeling a Drain Soul grants you 0% Haste for until cancelled. 10% Haste for 5 sec. Item – Warrior T20 Arms 2P Bonus Colossus Smash reduces the cooldown of Ravager by 1.2 sec. Bladestorm by 2.0 sec. Item – Warrior T20 Arms 4P Bonus While Ravager While Bladestorm is active, you automatically cast a total of 4 6 Mortal Strikes at random nearby enemies. Item – Warrior T20 Fury 2P Bonus Raging Blow has an 10% chance to generate 40 additional Rage. Bloodthirst critical strikes have a 50% chance to grant you Raging Thirst, increasing the damage of your Raging Blow by 50% for 8 sec. Item – Warrior T20 Protection 2P Bonus Berserker Rage generates 0 Rage. 50 Rage. Item – Warrior T20 Protection 4P Bonus (New) Shield Slam reduces the cooldown of Berserker Rage by 3.0 sec. Chill Streak Deals 5% Deals 8% of the target’s total health in Frost damage and reduces their movement speed by 70% for 4 sec. Chill Streak bounces up to 5 9 times between closest targets. Frost DeathKnight – Tier 5 PvP Talent. 40 yd range. Instant. 45 sec cooldown. Crypt Fever Whenever enemies are healed while afflicited by your Festering Wound, they take [ AP [ 85% of AP ;] Shadow damage. Unholy DeathKnight – Tier 4 PvP Talent. Dark Simulacrum Places a dark ward on an enemy that persists for 12 sec, triggering when the enemy next spends mana on a spell, and allowing the Death Knight to unleash an exact duplicate of that spell. Against nonplayers, only absorbs some harmful spells. DeathKnight Any2 Role – Tier 2 PvP Talent. 200 Runic Power. 40 yd range. Instant. 30 sec cooldown. 25 sec cooldown. Wraith Walk Sidestep into the Shadowlands, breaking removing all Root effects and increasing your movement speed by 70% for 3 sec. During this time all movement-impairing effects are suppressed but While active, your movement speed cannot be reduced below 170%. Lasts 3 sec any action will cancel the effect. Death Knight – Blood, Frost, Unholy Spec. 3 sec cast (Channeled). 45 sec cooldown. Outbreak Deals [ 38% of AP ] Shadow damage and surrounds the target in a miasma lasting for 6 sec that causes the target and all nearby enemies to be infected with Virulent Plague. Virulent Plague A disease that deals [ 294% [ 490% of AP ] Shadow damage over 21 sec. It erupts when the infected target dies, dealing [ AP ] Shadow damage divided among nearby enemies, and has a 30% chance to erupt each time it deals damage. Death Knight – Unholy Spec. 1 Runes. 30 yd range. Instant. Rain from Above You fly into the air out of harms harm’s way. While floating, you gain access to Fel Lance allowing you to deal damage to enemies below. Havoc DemonHunter – Tier 5 PvP Talent. Instant. 60 sec cooldown. Enraged Maul Maul the target for (500% of weapon damage) Physical damage. Requires Bear Form. Honor Talent. 200 Rage. Melee range. Instant. Thrash Strikes all nearby enemies, dealing [ 1 + 48.1% 55.3% of AP ] Bleed damage and an additional [ 5 + 12.1% of AP ] Bleed damage over 15 sec. When applied from Bear Form, this effect can stack up to 3 times. Generates 4 Rage. Requires Bear Form. Feral, Guardian. 8 yd range. Instant. 6 sec cooldown. Treant Form Shapeshift into Treant Form. Shapeshift. 5.6% of Base Mana. Instant. Instant. Nourish Reduces the cast time of Healing Touch by 0.5 0.2 sec and your Healing Touch automatically applies one of your missing healing over time spells to the target. If all of them are present, Healing Touch critically heals. Restoration Druid – Tier 4 PvP Talent. Overrun Charge to an enemy, stunning them for 3 sec and knocking back their allies within 15 yards. Requires Bear Form. Guardian Druid – Tier 5 PvP Talent. 8-25 yd Unlimited range. Instant. 25 sec cooldown. Protector of the Grove Using Regrowth on an ally always critically heals and reduces the cast time of your Regrowth When using Regrowth on an ally the initial heal will always have a critical effect and the cast time of Regrowth will be reduced by 50% for 6 sec. Druid Any2 Role – Tier 2 PvP Talent. Mangle (Balance, Feral, Restoration) Mangle the target for (337% 387% of weapon damage) Physical damage. Mangle (Guardian) Mangle the target for (337% 387% of weapon damage) Physical damage. Hybrid Kinship Name changed from „Ancient Hybrid Knowledge“ to „Hybrid Kinship“. Binding Shot Fires a magical projectile, tethering the enemy and any other enemies within 5 yards for 10 sec, stunning them for 5 sec if they move more than 5 yards from the arrow. Player targets are stunned for a shorter duration. Hunter – Level 75 Talent. 30 yd range. Instant. 45 sec cooldown. Stomp When your Dire Beasts charge in, they will stomp the ground, dealing [ 2 + 477.9% 495.6% of AP ] Physical damage to all nearby enemies. Beast Mastery Hunter – Level 30 Talent. Catlike Reflexes Critical melee strikes grant you against you grant 30% dodge for 4 sec. Hunter Any2 Role – Tier 2 PvP Talent. Mark of Aluneth Creates a rune around the target, inflicting [ 720% [ 960% of Spell Power ] Arcane damage over 6 sec, to all enemies within 6 yds, and then detonating for Arcane damage equal to 15% 20% of your maximum mana. Artifact. 40 yd range. 2 sec cast. 60 sec cooldown. Mark of Aluneth Deals 0 Deals 1 Arcane damage to all targets within 6 yards. 100 yd range. Instant. yds. 100 yd range. Instant. Mark of Aluneth Creates a runic prison at the target’s location, slowing enemy movement speed by 70%, inflicting [ 720% [ 960% of Spell Power ] Arcane damage over 6 sec, and then detonating for Arcane damage equal to 15% of your maximum mana. Artifact. 40 yd range. 2 sec cast. 60 sec cooldown. Mark of Aluneth Deals [ 120% Deals [ 160% of Spell Power ] Arcane damage. 100 yd range. Instant. to enemies within 6 yds. 100 yd range. Instant. Phoenix’s Flames Hurls a Phoenix that causes [ 1 + 389.4% [ 389.4% of Spell Power ] Fire damage to the target and splashes [ 129.8% of Spell Power ] Fire damage to other nearby enemies. This damage is always a critical strike. Artifact. 40 yd range. Instant. Shimmer Teleports you 20 yards forward, unless something is in the way. Unaffected by the global cooldown and castable while casting. Max 2 charges. Mage – Level 30 Talent. 2% of Base Mana. Instant. 0.5 sec cooldown. World in Flames Reduces the cast time of Flamestrike by 1 1.25 sec, and increases its damage by 20%. Fire Mage – Tier 4 PvP Talent. Chi Wave Brewmaster, Mistweaver: A wave of Chi energy flows through friends and foes, dealing [ 86.7% [ 1 + 86.7% of AP ] Nature damage or [ 86.7% of AP ] healing. Bounces up to 7 times to targets within 25 yards. Windwalker: A wave of Chi energy flows through friends and foes, dealing [ 91% of AP ] Nature damage or [ 86.7% of AP 0;] healing. Bounces up to 7 times to targets within 25 yards. Unlimited range. Instant. Chi Wave Brewmaster, Mistweaver: A wave of Chi energy flows through friends and foes, dealing [ 86.7% [ 1 + 86.7% of AP ] Nature damage or [ 86.7% of AP ] healing. Bounces up to 7 times to targets within 25 yards. Windwalker: A wave of Chi energy flows through friends and foes, dealing [ 91% of AP ] Nature damage or [ 86.7% of AP 0;] healing. Bounces up to 7 times to targets within 25 yards. Monk – Level 15 Talent. 40 yd range. Instant. 15 sec cooldown. Healing Sphere Coalesces a Healing Sphere out of the mists at the target location after 1.5 sec. If allies walk through it, they consume the sphere, healing themselves for [ 1 + 400% of Spell Power ] and dispelled of all harmful periodic magic effects. Maximum of 3 Healing Spheres can be active by the Monk at any given time. Healing Sphere has a 15 sec cooldown. Mistweaver Monk – Tier 5 PvP Talent. 1.9% of Base Mana. 40 yd range. Instant. Storm, Earth, and Fire Split into 3 elemental spirits for 15 sec, each spirit dealing 45% of normal damage and healing. You directly control the Storm spirit, while Earth and Fire spirits mimic your attacks on nearby enemies. While active, casting Storm, Earth, and Fire again will cause the spirits to fixate on your target. Monk – Windwalker Spec. Instant. 1 sec cooldown. 16 sec cooldown. Plunder Armor Steals and equips the target’s armor. Reduces their damage dealt by 20%, and maximum health by 10% 10%, and maximum health by 20%, and increases yours by the same amount. Lasts 10 sec. Outlaw Rogue – Tier 5 PvP Talent. Melee range. Instant. 2 min cooldown. Outlaw Rogue Increases damage/healing of Ambush, Between the Eyes, Blunderbuss, Cannonball Barrage, Death from Above, Ghostly Strike, Killing Spree, Killing Spree Off-Hand, Pistol Shot, Run Through, Saber Slash by 16%. Rogue – Outlaw Spec. 20%. Rogue – Outlaw Spec. Shamanism Your Bloodlust spell now has a 45 60 sec. cooldown, but only affects you and your friendly target when cast for 10 sec. In addition, Bloodlust is no longer affected by Sated. Enhancement Shaman – Tier 5 PvP Talent. Shield Slam (Protection) Devastate, Thunder Clap, and Revenge have a $231,834% 30% chance to reset the cooldown of Shield Slam.